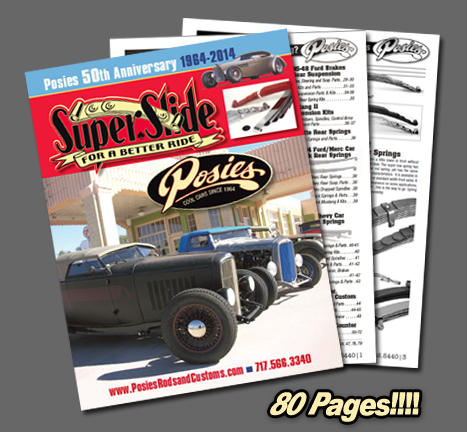 POSIES is a hot rod shop that produces statements and the builder of Super Slide Springs, which is the industry standard for hot rod suspensions. In addition to our Super Slide Springs, we also carry a full line of parts and accessories to complete your own hot rod project. We offer parts for most makes and models, cars and trucks. Our website is just a sampling of our vast inventory. Email us today to order a completely NEW updated catalog!